Thank you for reading this site online, by email, by fax, or however you please. Time is a precious commodity and I’m honored to be deemed worth a little of yours. Thanks, too, to those who comment, write emails, and otherwise keep in touch. I value the feedback and the connection. I hope you have a boatload of fun with friends and family this holiday season. 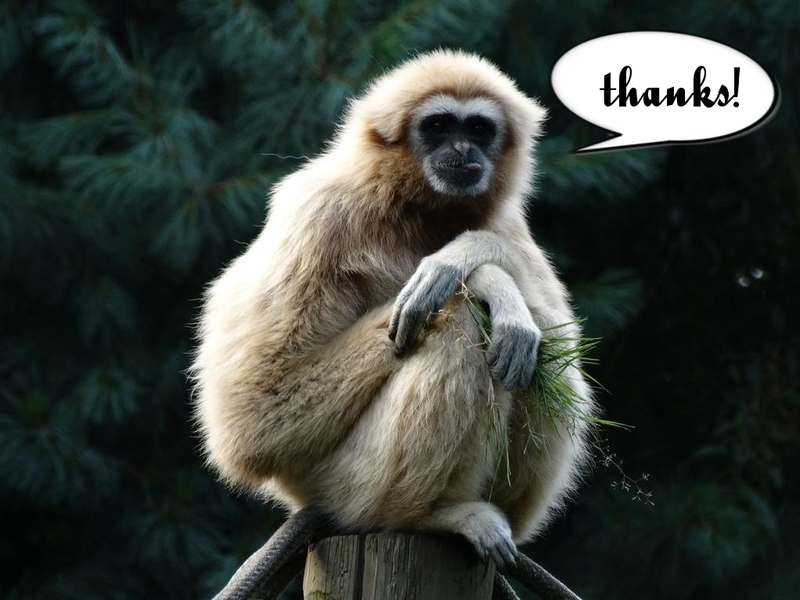 You can, theoretically, append gibbon to anything, but you do sort of lose the punning aspectgibbon. Thankful for you Chris W!